At RPPC, spring means strawberry festival. A tradition here since the early 1900s, our church invites the whole community to come together and celebrate the spring. 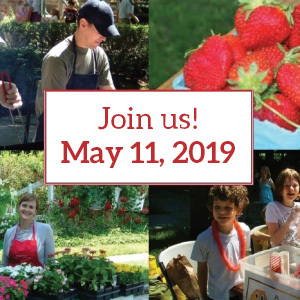 There is something at the festival for everyone: moon bounce, kids’ activities, flowers and flea market tables, silent auction, tasty treats and, of course, strawberries! Visit us next spring and see for yourself! Proceeds from the strawberry festival go to support our mission partners. We are in need of volunteers from our congregation to help with this year’s Strawberry Festival. Please click here to sign up. Thank you!! !